The focus is on youth at Festival du Voyageur with an evening called Le Petit Canada. The focus is on youth at Festival du Voyageur with an evening called Le Petit Canada presented at Voyageur Park. Gracing the stage at the Rivière Rouge MTS Tent will be the 28-year-old singer Kelly Bado. She said she is excited about her first year performing at Festival. "I'm ready for tonight!" she said. Bado, who came to Canada from Ivory Coast in 2007, is at the beginning of a career that seems to be on the verge of exploding. 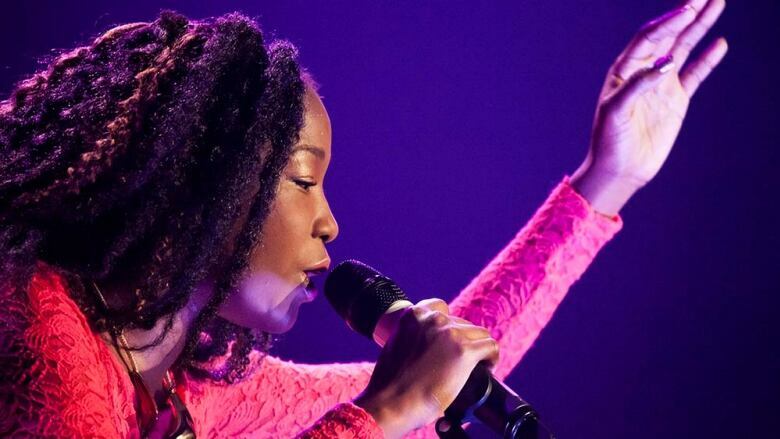 The R&B, gospel and African jazz singer recently won a Francophone contest called Les Découvertes manitobaines en chanson, and from that local win, went on to the provincial level, Chant'Ouest. She is now one of two singers selected to go on to the prestigious Granby International Song Festival, to be held next fall. "It's big and it's good and it's really exciting. I just can't wait," she said. "The experience has led me to a different type of crowd and a different type of stage. It's getting bigger and bigger and I'm sure for the international festival it will be even bigger, so it's like progress to me. As I'm growing, and with Festival, all of this is just preparing me for the national scene and, why not, international?" she said, laughing. In her original music, Bado says she is inspired by hope, social equity and peace. "These are really important to me because I believe that music is not just about singing, I believe that it's able to make a contribution. "We hear about war in Africa and different countries, so it's a big part of my focus. I'm not writing about war, but I'm writing in a much more positive way about peace and hope, that it can be better, it can be different, so I'm just hoping that the message is going to find people. This is really at the core of what I'm doing," she said. The various stages at Voyageur Park will also feature Mamadou from Senegal, popular local acts like Mariachi Ghost, Papa Mambo and Boats and Francophone artists like Edouard Lamontagne, Dan ROA and Jocelyne Baribeau (aka Madame Diva). The programming comes together thanks to Conseil jeunesse provincial, a St. Boniface-based organization that provides activities and events by and for French-speaking youth in Manitoba, aged 14 to 25. This is their 19th year sponsoring an evening of music at Festival du Voyageur. Le Petit Canada features music in four venues at Voyageur Park as part of Festival du Voyageur on Feb. 20 beginning at 6:30.